Just last week the latest update of the Scrum Guide was released. 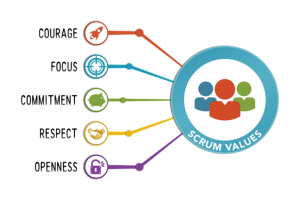 In this latest version of the Scrum Guide the five values of scrum play a more important role than in previous versions. In my 4 year old Scrum Guide Mind Map these values aren’t around. These values amplify the power of Scrum by providing a compass for decision making. They help teams adopt Scrum and deliver amazing software for their customers. They also prove fundamental to create a great place to work. Courage – Being transparent, but willing to change even if that means accepting that you are wrong, or that your opinion is not the direction that the team is going. Focus – focus on what’s most important now without being bothered by considerations of what at some point in time might stand a chance to become important. Commitment – commitment is about dedication and applies to the actions, the effort, not the final result. Openness – Highlighting when you have challenges and problems that are stopping you from success. The empiricism of Scrum requires transparency, openness. We want to inspect reality in order to make sensible adaptations. Respect – Helping people to learn the things that you are good at and not judging the things that others aren’t good at. There is an interesting post on these values by Gunther Verheyen. This entry was posted in Agile, Innovation, Lean, Reading, Tools and tagged Agile, Lean, organisation, scrum, Self organisation, work smart on 2016/07/12 by PeterPaul. Met ruim 9 miljoen producten in de winkel valt er natuurlijk van alles te ontdekken in een winkel als bol.com. 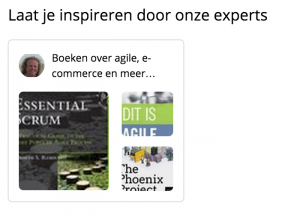 Om je te inspireren en wegwijs te maken in dit enorme aantal, worden er steeds meer experts en productkenners uitgenodigd om expertlijsten te maken. Naast productspecialisten in dienst van bol.com krijgen verkopers, leveranciers en affiliate partners de mogelijkheid om selecties te maken en zo bezoekers van bol.com te inspireren met hun unieke assortimentscuratie. Uiteindelijk kan iedere gebruiker van bol.com straks zelf een selectie maken van artikelen; vanuit een bepaald thema, een hobby, een actualiteit, specifieke vakkennis of vanuit persoonlijke favorieten. 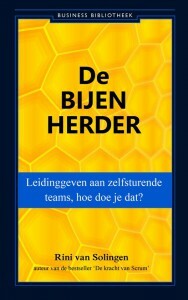 Als lijstmaker kan je zelf een selectie samenstellen uit het omvangrijke assortiment. Heb je opmerkingen of vragen over de expertlijsten, laat een gerust comment achter. This entry was posted in Reading, Retail, Tools and tagged content, contentcuratie, e-commerce, expert, expertlijst, Retail, Tools, work smart on 2015/03/12 by PeterPaul. 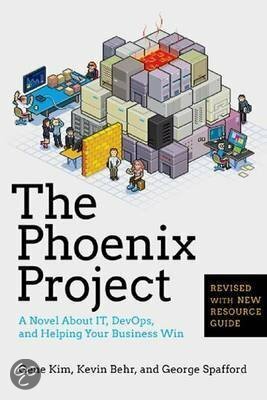 The Phoenix Project: A Novel About IT, DevOps, and Helping Your Business Win is written the by Gene Kim in the tradition of The Goal (1984, by Dr. Eliyahu M. Goldratt). 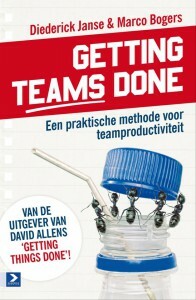 The Goal is a management novel explaining the Theory of Constraints. 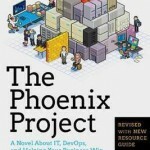 This book, The Phoenix Project shows how the theory in The Goal works in an IT environment. In this theory the first step is to identify the constraint. Step 2 is to exploit the constraint. In other words, make sure that the constraint is not allowed to waste any time. Only by increasing flow through the constraint can overall throughput be increased. This to the extend that improving something anywhere not at the constraint is an illusion. Because of the need for flow, work in process (WIP) is the silent killer. Therefore, one of the most critical mechanisms in the management of any plant is job and materials release. Without it, you can’t control WIP. 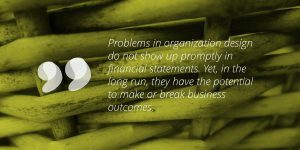 The Phoenix Project describes the problems that almost every IT organization faces, and then shows the practices (based on the Theory of Constraint, Lean and more) of how to solve the problems. The main character Bill, is thought how to deal with these problems using the Socratic Method. Each dialogue a question is posed to which in turn causes Bill to think and to talk to his colleagues to come up with a solution to their problem. The First Way helps us understand how to create fast flow of work as it moves from Development into IT Operations, because that’s what’s between the business and the customer. The Second Way shows us how to shorten and amplify feedback loops, so we can fix quality at the source and avoid rework. And the Third Way shows us how to create a culture that simultaneously fosters experimentation, learning from failure, and understanding that repetition and practice are the prerequisites to mastery. Until code is in production, no value is actually being generated. It’s merely WIP stuck in the system. By reducing the batch size, you enable a faster feature flow. In part this is done by ensuring the proper environments are always available when they are needed. Another part is automating the build and deployment process. Here we recognize that infrastructure can be treated as code, just like the application that Development ships. This can enabled to create a one-step deploy procedure. Besides the parts mentioned before this requires removing a unneeded (since no value is created) hand off between Development and Operations. For this to work the two have to be integrated, not separated. Like in a manufacturing plant, in IT, it is crucial to manage the release of work to the shop floor / development and to track the work in process. There are a lot of visual aids available to support this, like Kanban or scrum boards. All have their origin in lean or agile ways of working. No need to say that in the novel this all works out pretty well 😉 In real life we see that these principles work, however more iterations are needed to really improve things. These iterations at first look like failures because of the acceleration of entropy. They are needed in the learning process of people and organization. Reduce the feedback cycle and learn fast! There are some interesting statements in the book, that are heard more often in the industry. IT is not just a department. IT is a competency that we need to gain as an entire company. We expect everyone we hire to have some mastery of IT. Understanding what technology can and can’t do has become a core competency that every part of this business must have. If any of my business managers are leading a team or a project without that skill, they will fail. In ten years, I’m certain every COO worth their salt will have come from IT. Any COO who doesn’t intimately understand the IT systems that actually run the business is just an empty suit, relying on someone else to do their job. Personally i think they hold at least some value. Please share your ideas in the comments. 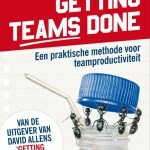 This entry was posted in Agile, Lean, Patterns, Reading, Tools and tagged Agile, book, Business, DevOps, Flow, Lean, management, scrum, work smart on 2015/01/01 by PeterPaul. I’ve been reading quite some article on engineering culture and ways of working. The videos on Spotify Labs are among the best sources I’ve watched or read in the last year on the subjects of agile and culture. Recently the second part of their series on Spotify’s engineering culture was released. To cope with this aspect you need a fail friendly environment and a limited blast radius. For the first focus on fail recovery instead of an fail avoidance. For the latter focus on a decoupled architecture. A healthy culture heals broken processes! Growing organizations have growing pains. Culture can either magnify or heal them. This entry was posted in Agile, Lean, Release, Tools and tagged Agile, Culture, engineering, Lean, scrum, Team, Video, web, work smart on 2014/09/30 by PeterPaul. 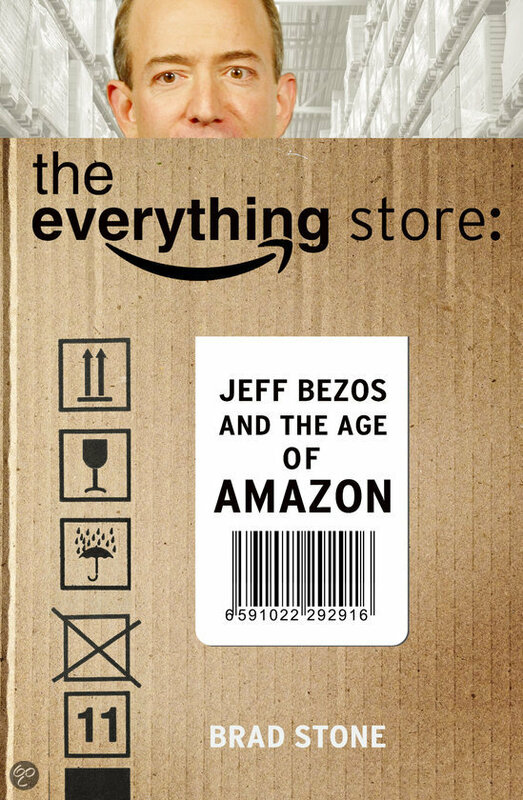 The everything store is one of the books I liked reading most of my reading list this year. It tells the story of amazon.com so far; The vision and ways of working of the company and it’s founder Jeff Bezos. 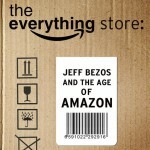 The book gives a good insight into the ways amazon.com operates. There is a interesting review on that on The New York Review of Books. You should also read the reviews on amazon.com in which some of the staff reacts on the book. Find my separate post on the book – the everything store. 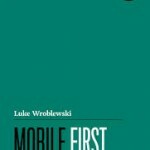 Mobile First is written by the former Yahoo! 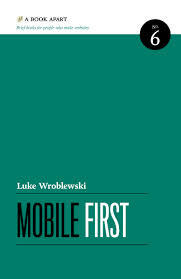 design architect, Luke Wroblewski. It is a to the point guide, with good examples. Though examples in this field quickly seem outdated they show the point very well. The book offers both insightful design patterns and common-sense principles. In the end it all boils down to the adagium: keep it simple. 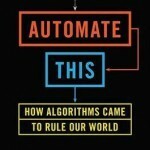 More and more parts of our lives are ruled by algorithms. There application isn’t only in the financial world or in automated systems inside companies, they are also in medical applications ranging from wait list prioritisation to assisting in diagnoses. The book is full of anecdotes, especially on high frequency trading. It also shows side affects liken how the war for talent has affected development and innovation of other innovations. 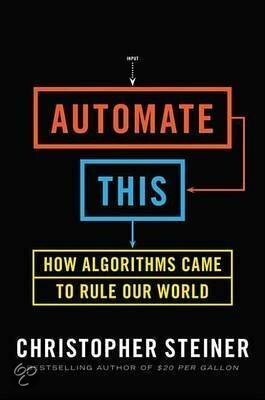 There is little room for the downside of algorithms creeping into our daily lives. Great introduction into the ways in which we are influenced and how we can influence others. 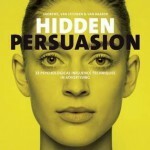 It details the psychology behind the techniques of influence described. The book offers very illustrative visual references. It is well created with a fine look-and-feel and an eye for detail. 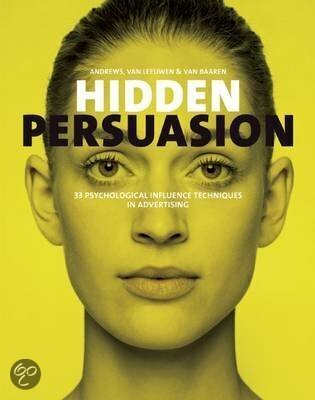 Hidden persuasion is interesting for professionals in marketing, advertising and communications, but also if you’re just slightly interested in these fields. You will look in another way at (visual) communication in everyday life. 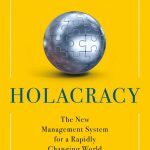 This entry was posted in Agile, Lean, Retail, Tools and tagged Agile, Amazon, book, Life hack, reading, work smart on 2014/07/30 by PeterPaul.